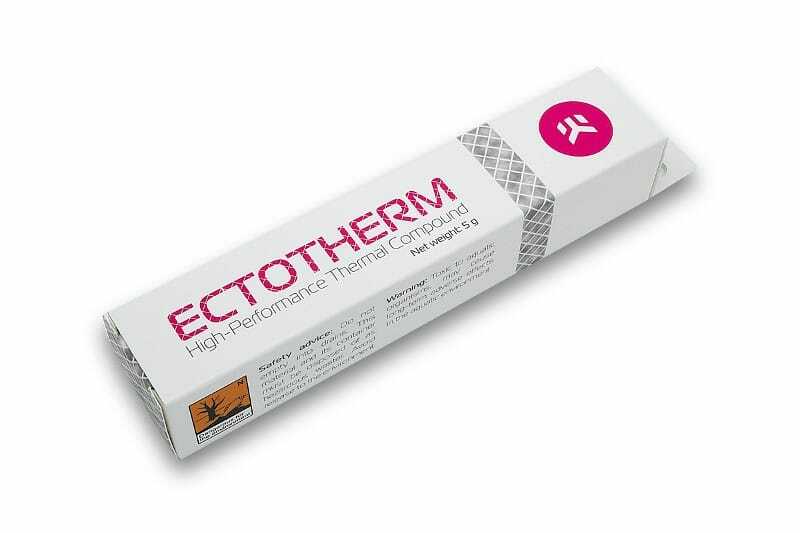 Ectotherm has been bundled with EK Full Cover water blocks since early 2013 and has been deployed by various system integrators as a cost effective, yet high performance thermal compound. 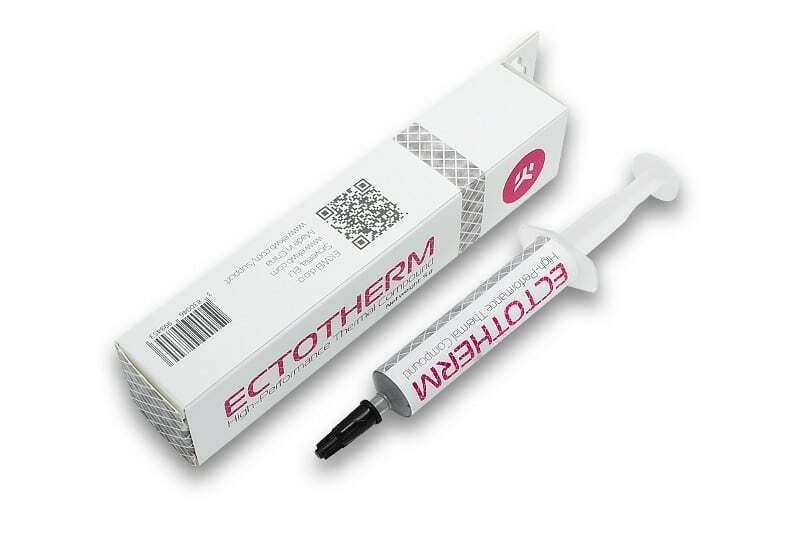 This Low Viscosity and Electrically Non-Conductive thermal compound makes each application trouble-free and failsafe. 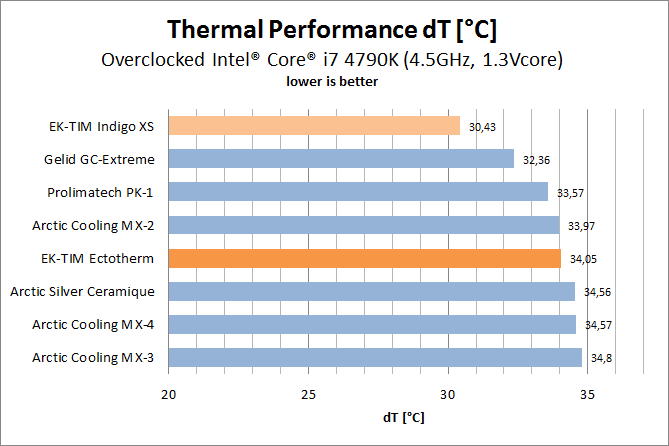 EK-TIM Ectotherm comes in a practical five grams (5g) packaging within a reusable gift-box and is thus a perfect choice for passionate computer modders, overclockers, and computer repair shop personnel. 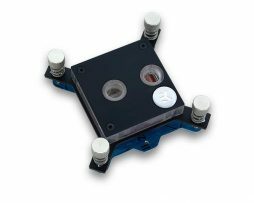 Made in China for EK Water Blocks. 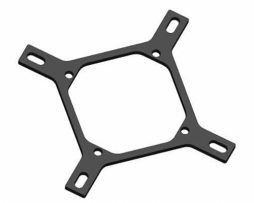 Mounting plate Intel – black for EK-Supremacy. 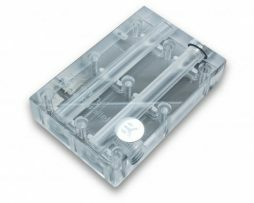 EK-FC Terminal DUAL Serial 3-Slot is a high quality interconnection for connecting two (2) EK Full-Cover waterblocks of new upgraded FC design (example: FC Titan block) in a single, sturdy unit. 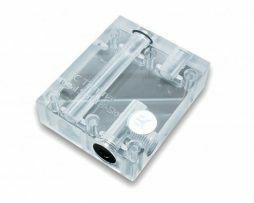 Connecting multiple graphics cards and FC water blocks with awkward fittings and tubing is a thing of a past! 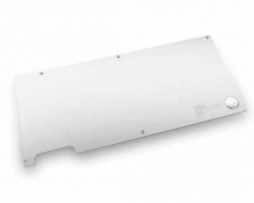 Aesthetic retention backplate for EK-FC1080 GTX JetStream series water block.